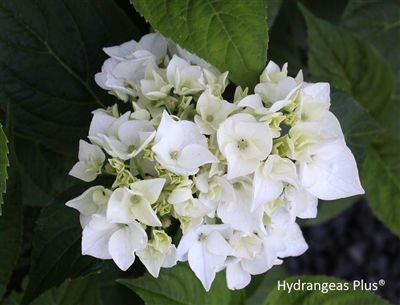 This may be our favorite white flowering macrophylla with pure white blooms on a medium sized shrub. Interesting elongated leaves make us wonder about the origin. White blooms fade slowly pink or blue as the bloom ages.